So write the authors of a white paper exploring how post-acute facilities can improve their competitive advantage. Finding that CFCM can create new revenue streams and profit opportunities for post-acute care (PAC) and skilled nursing facilities (SNFs), the white paper authors also observe that the technology can offer improvements in clinical documentation and education. Clinical documentation improvement has rarely been more important than ever — or more elusive, particularly among nursing facilities. On top of this, the Centers for Medicare & Medicaid Services (CMS) regularly updates its data and reporting requirements (and the fees for failure to comply). With a method in place for improved clinical documentation, then, facilities can work to improve care and avoid costly fees in a single stroke. Because margins for PAC centers and SNFs are “traditionally razor thin” (and becoming even more so), this potential for increased revenue via improved clinical documentation can, on its own, justify the technology’s implementation, the authors observe. That capacity for improved education is also multi-faceted: “An often-overlooked benefit to CFCM data is the ability to serve as training case studies and staff development materials,” the authors note, while pointing out that improved documentation training can easily be an aspect of this feature — and that the need for advanced clinical education is greater in a setting where nursing staff turnover is particularly high. “When nurses see that a facility they are considering working for is using CFCM, it demonstrates the provider is committed to better patient care and technological innovation, and CFCM becomes an effective recruitment tool,” the authors note. Contact-free continuous monitoring from EarlySense is “intentionally designed to be simple for staff to use and non-obtrusive to patients and their families,” the white paper authors note. Yet, even so, the authors recommend that “facilities should have senior staff members analyze CFCM data trends and communicate them to physicians, administrators and the rest of the clinical team,” to best make use of the power of CFCM to improve clinical documentation and education — and maximize revenue and profits, as well. 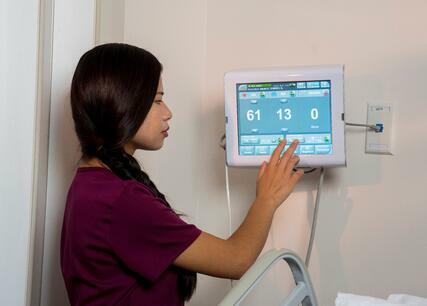 Learn more about how contact-free continuous monitoring can help your facility achieve improvements in clinical documentation and education: Download the white paper here, or contact us here to schedule a complimentary consultation with an EarlySense expert.